Few books in the Bible give us more “raw material” about the Trinity than John’s Gospel. While the word “Trinity” is not found in the Bible, testimony to God as Father, Son, and Holy Spirit is. And in the Fourth Gospel, the works of the Trinity are displayed in their greatest fullness. Helping us to see the inseparable operations of the Father, Son, and Holy Spirit, the ESV Study Bible nicely charts most of the instances of God’s Work. In what follows, notice how every work of God is “shared” by Father, Son, and Holy Spirit. To say it more carefully, whenever God acts he acts as Father, Son, and Holy Spirit. Whether it is in creation, salvation, or revelation, each person of the Trinity acts in a way appropriate to their personhood. Yet, such personal properties are never divided from the other members of the Trinity. We can speak variously about the work of the Father, Son, and Holy Spirit, but we can never speak of them independent from one another, or as if the Father does one thing, the Son another, the Spirit a third. While personal properties apply in all of God’s actions—e.g., the Father creates as the Father, the Son creates as the Son, and Spirit creates as the Spirit—the triune God always works as one God. This reality helps us to know God in his triune glory and to appreciate how each member works in union with one another. Even more, as we see in John’s Gospel, when the Father sends the Son and Spirit and the Father and Son send the Spirit, we begin to learn who God is through what God has done in redemptive history. Expanding this vision of God’s triune work in redemption, the ESV Study Bible’s chart will assist greatly. Perhaps you are familiar with the four Servant Songs in Isaiah. They are found in Isaiah 40, 49, 50, and 53. And I would contend, they are deeply important for understanding who Christ is and how God promised to save his people. But do you know there are also four “Spirit” songs in Isaiah? Or better, as Alec Motyer puts it, there are four songs in Isaiah 56–66 that identify the Spirit-anointed Savior who will also come to be identified with Christ? Until, reading Alec Motyer’s commentary on Isaiah 56–66, I had not seen that. Sure, I had often wondered why Christian tradition stops counting the Servant songs at Isaiah 53, when Isaiah 61 is clearly another song extolling the glories of a Spirit-anointed Servant. But until preparing for this current sermon series, I had not put together the reality of four songs in Isaiah 59, 60, 61, and 63. Nor did I make the connection of these chapters with the previous four Servant songs in any specific way. What is a Spirit-filled church? What does it mean to walk in the Spirit? And if you feel empty of the Spirit, what sort of ‘magic’ does it take to feel full again? On Sunday, I sought to answer that question from Ephesians 5:15–21, as we considered the last of Paul’s instructions to walk worthy. In some ways this is the pinnacle of his instructions, going back to Ephesians 4:1. In another way, it is the hinge passage that turns from the general instructions (Ephesians 4:1–5:15) to the specific applications (Ephesians 5:15–6:9). and the Holy Ghost is the executive by which (ev ō) it is carried into effect. When the Bible says that salvation belongs to the Lord (Psalm 3:8; Jonah 2:9), I wonder if we have a bad habit of thinking that God is a singular actor in salvation? That is, when we say (rightly) salvation is monergistic, do we remember how the Father, Son, and Spirit each work inseparably? Or does our mind’s eye see salvation as a thing given by God, but without regard for how each member of the Trinity works? In other words, when we fail to remember the triune nature of God in salvation, we are liable to conceive of salvation in synergistic terms—God provides; we respond, with emphasis on our response. The result, though perhaps unintentional, is a failure to see how the Father, Son, and Spirit work respectively to plan, procure, and provide salvation such that is remains God’s work, and salvation remains entirely gracious. This Sunday marks our fifth sermon in Ephesians and with it the consideration of the fifth sola. As our church remembers the Protestant Reformation this fall, we have sought to highlight the five solas from the text of Ephesians. After considering the material principles of the gospel in Ephesians 1–2 (e.g., Sola Gratis, Sola Fide, Solus Christus, Soli Deo Gloria), we considered the material principle of the Reformation from Ephesians 2:11–22 (i.e., Sola Scriptura). More central to the text, however, this week’s message focused on the argument of Ephesians 1–3 and Paul’s repeated emphasis on the temple of God, which is the church of Jesus Christ. Taking a page from the Reformers (ad fontes), we stepped back to understand the symbolism of this temple and how temples operated in the warfare worldview of Ephesus and the Old Testament. Accordingly, this sermon paid keen attention to the temple theme in the Bible and it aimed to prepare us for understanding how the church as temple shapes our identity, community, and mission—three themes that we will, Lord willing, develop from verses 11–22 next week. What does 1 Corinthians teach about tongues? That’s a question I’ve been wrestling with all year as we’ve preached through 1 Corinthians. In pursuit of understanding these chapters myself, I’ve written a number of blogposts. And here is a culminating post offering 15 propositions to crystallize what Paul says and does not say about tongues in 1 Corinthians 14. More must be said about this subject, especially as it relates to redemptive-history and the book of Acts. Moreover, more could be said comparing and contrasting Acts and the rest of the New Testament. But what follows focuses on 1 Corinthians 12–14. Here are the 15 propositions. You can find biblical expositions below. Tongues, as a spiritual gift, fit into the larger categories of what Scripture says about tongues. Tongues reverses the strife caused by the “gift” of tongues at Genesis 11. Tongues is a judgment against Israel. Tongues is a spiritual gift. Tongues was the least of the gifts. Tongues were not given to everyone. Tongues is not discussed in any other letter, not even 2 Corinthians. Tongues does not address men, but God—maybe. Tongues as private prayer language is not from the Spirit. Tongues are nothing compared to prophesy. Tongues in the plural may be different than tongue in the singular. Tongues are not absolutely forbidden by Paul, but they die the death of ‘one thousand qualifications’. Tongues are not a normative practice today. On the cross Jesus exclaimed this glorious truth: Tetelestai! It is Finished! Our eternal security is settled by this truth. And this week we celebrate Good Friday and Resurrection Sunday because Jesus Christ finished his gracious work of redemption on on the cross. Strangely, we are less certain about the finished work of the Holy Spirit. Some might even question whether he has finished anything. Isn’t the Holy Spirit still working in our midst today? Of course he is, but this doesn’t deny his finished work of revelation and the inspiration of God’s Word. In the Bible, we find the Holy Spirit’s finished work. Considering both the finished work of the Son and the Spirit, Sunday’s sermon marked the final message on spiritual gifts in 1 Corinthians 12–-14, where I answered the question: Is the work of the Spirit finished? After seven messages on 1 Corinthians 12–14, this message sought to summarize our findings in those chapters, understanding their historical context and making practical application today. This was not intended to be a typical exposition of the text, but an doctrinal and applicational sermon answering many questions related to the cessation of the miraculous gifts and the continuation of their intended purpose—the confirmation of God’s Word and the ongoing work of the Spirit by that Word. The one who follows Jesus to the cross (but no further) is an admirer; the one who takes up the cross is a disciple. The admirer, unlike the disciple, follows Jesus only up to a point. . . . The Emmaus road admirers did not recognize Jesus; he was a stranger to them. They were incapable of reading the Scripture or the situation rightly. . . . Admirers [users and critics] of Jesus are able to follow the biblical testimony up to a point; they are able neither to recognize what it means for them nor to appropriate its perlocutionary effect [i.e., the way the word ‘works’]. Similarly, for many readers, the text is a ‘stranger,’ to be admired or followed only ‘up to a point.’ Like the Emmaus travelers, the itinerant reader may be familiar with the text without ever having a moment of recognition, without ever coming to a personal knowledge of the ‘strange new world of the Bible,’ without ever deciding whether the stranger [i.e., the triune God] is friend or foe. Hermeneutics, technically defined, is “the science that teaches us the principles, laws, and methods of interpretation” (Louis Berkhof). Since college, this subject has been a passion and a pursuit. 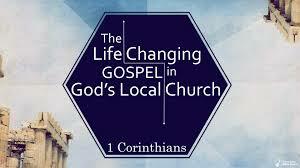 And so it is with great joy that I continue to consider this topic with the men of Occoquan Bible Church today. Because the ‘science . . . of interpretation’ is actually part of God’s wise and gracious process of making disciples, it is vital we learn more than interpretive skills and techniques when we study hermeneutics. We must begin with the right posture of heart, which is to say the Holy Spirit must grant new eyes and new affections, so that as born again disciples of Christ our biblical studies bring us into greater communion with the triune God. Keeping this personal knowledge of God at the center, I have tried to frame our study around the Father who Speaks, the Son who is that Spoken Word, and the Spirit who empowers us to believe and receive the Word of God. Most, if not all, of these thoughts are unoriginal, but novelty for novelty sake is never the goal of interpretation. Rather, the goal of Bible reading, I believe, is beholding Christ in all Scripture. With in mind, I share the notes here on three presuppositions (read: postures of the heart) disciples need to rightly understand the Word of God. In these, my hope is to consider how faithful interpretation enhances doxology and discipleship. For any other aim misses the point of Scripture. As Kevin Vanhoozer has wisely written, we must be disciples who receive the Word of God not mere admirers, dubious critics, or pragmatic users of God’s Word. To that end we pray and study. If there is one chapter in the Bible which best describes the kingdom of heaven (in other places, the “kingdom of God”), Matthew 13 is it. Through seven parables, Jesus spoke to the crowds who came to see him (v. 1). In these parables, he laid out aspects of the kingdom that were both hidden and revealed, spiritual and physical, contested and certain, already and not yet. In short, by looking briefly at each parable we can get a list of the kingdom’s characteristics. Then, as we look at all the parables together, we are positioned to answer the question: What is the kingdom of God like? What follows are five observations from individual parables (some are taken together), and two larger observations taken from the whole of Matthew 13. The Kingdom of God Is . . . 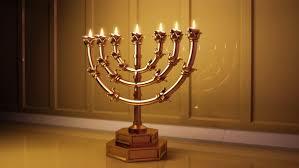 In the book of Revelation John speaks of the “seven spirits of God” (1:4; 3:1; 4:5; 5:6). While enigmatic, the symbolic use of the number seven in Revelation gives credible explanation: The seven spirits are God is a reference to the Holy Spirit, who is the perfect and complete Spirit of God. In no way does the number represent something contradictory to the triune nature of God (three-in-one), nor does it crassly suggest there are seven spirits who represent God. Rather, as with so many images in Revelation, the numeral seven represents the fullness of the Spirit abiding in God’s throne room and dwelling with the churches. Wonderfully, the same Holy Spirit who dwells in God’s heavenly temple (1:4) has been sent to dwell in local churches (5:6).
. . . and the fear of the Lord.